check this out - a modified reprap printing a 3d blood vessel scaffold! and this concept. Does anyone know any more about how the print material is formulated and then delivered to the extrusion apparatus? Any speculation about the extrusion assembly? Bhatia, S. N. & C. S. Chen (2012) Rapid casting of patterned vascular networks for perfusable engineered three-dimensional tissues. I have this paper and advise reading it - I think it is a really big deal for both 3d bioprinting and the reprap - pm me for more information. In many ways, it is the same modification that allows rerap to print cake icing for cake decorating. I know somebody in the forums is doing this, but I can't remember who. A search of the general forum for sugar or cake should steer you to correct discussion thread and I think the rough recipe (3 parts sugar to 1 part water???) was listed in the discussion. you are right and indeed I sent Patrick a pm with the thingiverse link. The vascular grafts (for bypass patients) have worked surprisingly well - no rejections, no occlusions, no blowouts...yet. It is still way too expensive of an option to actually use on a regular basis though. The skin we have printed works, but we haven't gotten the blood flow pattern correct yet or the pigmentation correct. I built a custom piezo inkjet style printer for the cells to be printed with. The organovo developers used some of my groups research when they were developing their equipment, so there are a lot of similarities between the machines. that sounds awsome. do you have a paper or something where I could read more about this research? How did you manage to keep the cells alive while printing with a piezo-inkjet printer with all the shear stress involved? I try my best not to do that much publishing, writing articles just isn't my thing. I think the last thing I published on tissue engineering was back in 2003 in Anatomy Record A. My partner does most of the publishing and the link to his publications is at [works.bepress.com] Publications. Several articles there cover our work with thermal and piezo inkjet printer type devices. Shear stress is still an issue with piezo jets. Epithelial cells (skin and blood vessels) handle it surprisingly well, other cells haven't. We are slowly overcoming this problem by using a larger reservoir and exit oriface. The piezo actuator instead of directly spitting out the cells, instead is used to create a pressure wave in the reservoir that gently pushes a drop out of the oriface. ... what's with a mechanical 'puncher' instead of an ink-jet? Some years ago I've invented a methode of placing/dispensing single droplets of extreme high viscouse fluids (we used then a glue with 40000 MPa) with sizes down to single microns in diameter on surfaces. 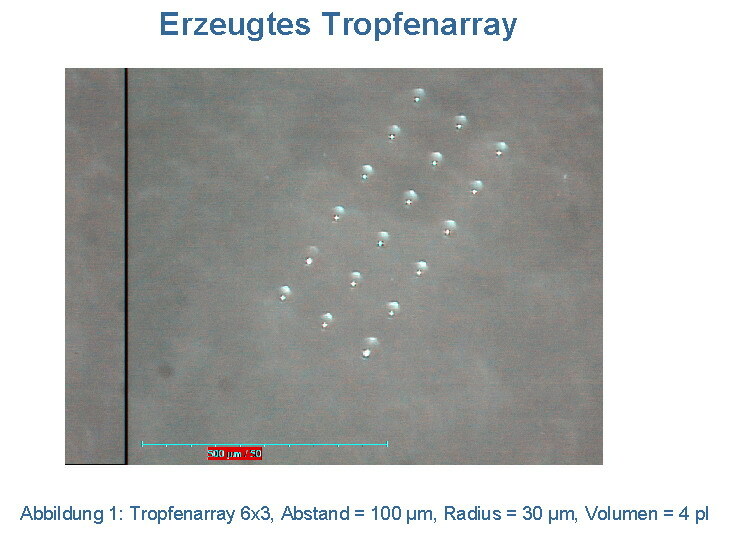 I've attached only the abstract and images from the patent filings as zipped PDF's, as it was in German only. Basically, Boland is trying different methods and comparing them for feasability. His dream is that all hospitals and universites will have a reliable and cheap (under $10,000 USD) desktop organ printing machine. His motive is push this kind of research to be cheaper and in the past decade we have seen the prices come down. Viktor, danke. I'm familiar with the method you attached. I think I even read the patent back in 05. We've tried that technique as well, but a group at MIT are studying it in depth so we are relying on their research for comparison. ... nice to hear, that the idea wasn't lost! I've developed this system for a special internal application around 2002 and my boss filed the patents in 2004, but first only in Germany, then in Europe. Its such an amazing revolution in 3D printing. The sugar template creates a temporary set of guiding pipes where fluid will flow. After it is printed, it is coated in a thin layer of corn-based degradable polymer to help stabilize the sugar. Miller and his colleagues then pour living cells around the template to encapsulate it in what becomes solid tissue. The sugar template dissolves leaving a bare vascular network through which nutrient-rich fluid can flow. Sorry looks pretty irrelevant at first. I have spent a little time watching the development of chicks from first stages onwards. The thing that stood out to me was that the blood vessels are seen to develop first along with the initial heart. It is a little strange to see a heart floating in liquid at the centre'ish of a spiders web of blood vessels, but this is exactly what happens. The heart beats away supplying blood flow to apparently nothing in the first instance other than blood vesels. But the albumen steadily fills out with material and becomes denser. Soon after this point I can't see much more as the tissue is then too dense to let the light through (Candling eggs). I guess then that printing blood vessels is perhaps the first stage in organ engineering. If the recipients own cells are used in doing this I guess it has a fair chance of masively reducing the likelyhood of rejection on replacment as well.